Court reform commenced in Ukraine with amendments to the Constitution of Ukraine in June 2016 is in process now. After numerous negotiations on round tables, conferences and seminars, on 3 October, 2017 the Verkhovna Rada (Parliament) approved new editions of the Civil Procedural Code of Ukraine (CivPC of Ukraine) and the Commercial Procedural Code of Ukraine (CommPC of Ukraine), which came into force on 15 December, 2017. Maritime attorneys and lawyers are interested in these changes because they implemented new rules of ship arrest in Ukraine, including new instruments like counter injunction and “direct action” of a court ruling on a vessel’s arrest. Let’s discuss these changes with taking into account latest court practice. Both codes provide for exclusive jurisdiction for cases connected with ships arrest: now arrest applications in civil and commercial proceedings will be examined by the court whose jurisdiction covers the port where the vessel stays or where the vessel is moving to. The rule of exclusive jurisdiction will be extended on both a maritime claim security (when a court claim does not exist), as well as on security of claim, when court proceeding are opened in a case and the claimant requests the court to secure his claim by the ship’s arrest because the defendant has no assets in Ukraine. Case No. 766/4726/17, which was examined by the Kherson City Court could serve as an example here. The court examined a claim of a mother of deceased seafarer who died due to unclear circumstances on board the m/v ALDWYCH. Simultaneously, with the court claim, the claimant submitted to the court a motion where he asked to secure a claim by arrest of m/v ALDWYCH, which was berthed in the water area of Mykolayiv Sea Port. The court of first instance rejected the motion indicating that court claims are doubtful and amount and relevancy of claim should be proved in the court hearing. The claimant did not agree with the court ruling and submitted the appeal claim. As a result of examination of the appeal, the Court of Appeal of Kherson Region satisfied it in part. The court ruling adopted by the court of first instance was cancelled and the case (extracted materials) was sent to the competent court, namely, Korabelniy District Court of Mykolayiv. Arguing against the aforesaid judgement, the appeal court indicated the following: “As we can see from the case, there is a maritime claim, which is a legal ground for arrest of m/v ’ALDWYCH’, which is in Mykolayiv Sea Port. The challenged court ruling was issued without taking into account the rule of exclusive jurisdiction, namely, actual location of a vessel. Taking into account the aforesaid, the appeal claim should be partly satisfied, and the challenged court ruling should be cancelled because it was adopted through violation of the rule of territorial jurisdiction. The case (extracted materials) should be delivered to Korabelniy District Court of Mykolayiv”. The “old” edition of procedural law allowed the submission of arrest applications for security of a maritime claim to the location of the port where the vessel is berthed or under the port of the vessel’s registry. There are a few well-known ways of proving the fact of a vessel’s stay in a sea port, namely, a reference of the Port Harbor Master (it is usually a response to a lawyer’s inquiry), a reference from the ship’s agent (if the agent is nominated by the charterers) or data from the web-site: www.marinetraffic.com or similar resource. When selecting from these three options it should be taken into account that courts give priority to a reference from the Port Harbor Master as conclusive evidence in such cases (see the Court Ruling of the Commercial Court of Odessa Region under case No.916/3089/17 of 14 December 2017; the Court Ruling of the Commercial Court of Odessa Region under case No. 916/225/18 of 8 February 2018). The new edition of procedural law enables submission of an appeal application to the port, where the vessel is staying, the vessel’s port or registry or to the port where the vessel is moving to. Maritime lawyers do not have a common opinion on how to prove a ship’s movement to a particular port. At first sight the easiest way to prove this fact could be data from open sources like www.marinetraffic.com where you can often find a vessel’s itinerary, including the destination port. However, as our experience shows Ukrainian judges do not in the main accept print outs from the Internet as evidence of a vessel’s destination port. That is why the response of port’s administration, where the vessel is moving to, or a response from the port’s operator, could be a good alternative here. Need an Arrest? Prepare the Counter Guarantee! The courts do order the holders of a maritime claim to put a counter guarantee into the court’s deposit account. This is a trend of the last three years in cases related to the arrest of ships. Let’s have a few examples. According to the Court Ruling of Commercial Court of Odessa Region of 17 November, 2014 under case No.916/4575/14 the court satisfied the application on imposing security measures through the arrest of m/v CT DUBLIN and simultaneously the court ordered the claimant to put a counter guarantee (a pledge) to the court’s deposit account in the amount of USD312,272, which is equivalent of 100% of the declared maritime claim. In that case the claimant refrained from transfer of counter guarantee in the amount prescribed by the court. In the No.916/225/17 the Commercial Court of Odessa Region satisfied the application of a shipyard on imposing security measures by the arrest of m/v SIBIRSKIY 2119 and instructed the claimant to put into the court’s deposit account a pledge in the amount of USD 30,000, which was about 8% of the declared amount of the maritime claim. The aforesaid examples show an extremely different approach by courts when determining a counter guarantee. The situation changed when the new codes came into force. Both codes determined the procedure of depositing a counter guarantee and cases for repayment of a deposit to the claimant. The new law prescribes that a court could instruct the claimant to deposit of a counter guarantee for remuneration of losses caused by the vessel’s arrest. A counter guarantee could be arranged by transfer of cash funds into a court’s deposit account or through the guarantee of a bank or other person approved by the court. In the “ship’s arrest” cases a counter guarantee could be arranged by the P&I Club or by the insurer, which insured responsibility of the owners. The amount of the counter guarantee should be prescribed by the court with taking into account the amount of the claim and losses which could be suffered by the defendant. As distinguished from the commercial proceeding, in a civil proceeding the law prescribes cases when arrangement of a counter guarantee will be used imperatively. 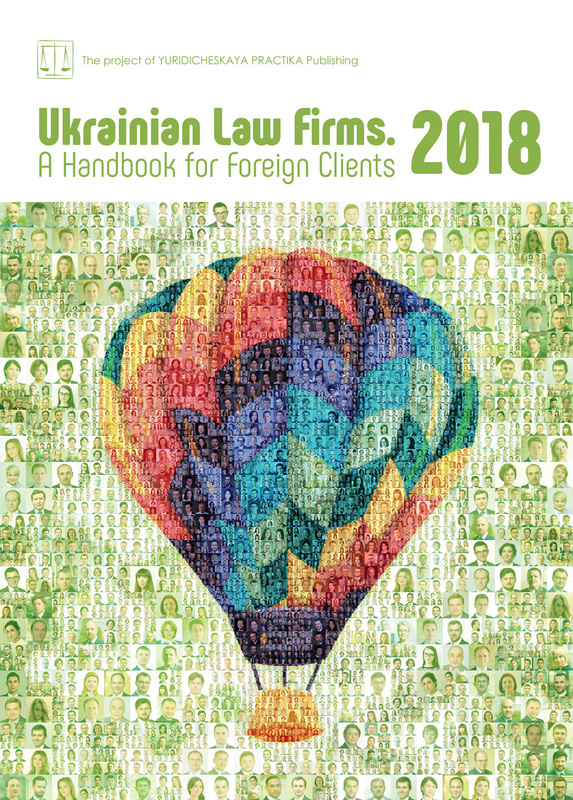 In particular, the court should use a counter guarantee if the claimant does not have permanent residence in Ukraine and valuable assets sufficient for reimbursement of possible losses of the defendant caused by security of the claim; or if the court receives evidence proving that the property status of the claimant or his actions on alienation of the property or other actions could complicate or make impossible enforcement of a court judgement on reimbursement of defendant’s losses caused by security of the claim in the event of a claim being rejected. For “maritime cases” it means that if the arrest application is submitted by a foreign seafarer, which does not have property in the territory of Ukraine, the court should use the counter guarantee. We believe that such approach is not fair in cases related to maritime claims connected with a seafarer’s death, personal injury claims or salary claims. Such cases could use an exception from the general rule. Change of Claim’s Security: No Need for Claimant’s Consent? In most EU countries a vessel shall be released from arrest immediately upon delivery of alternative security, which is commonly a letter of undertaking issued by P&I Club or bank guarantee. The practice of a claimant paying monetary funds into a court’s account is not widely used in “ship arrest” cases in the EU. Before 15 December, 2017, in Ukraine the procedure of changing security was not fixed in commercial proceedings. That is why if the vessel’s arrest were changed, for example, by a bank guarantee, the court should have first cancelled the security measures and afterwards secured a claim via a new security measure (see the Court Ruling of the Commercial Court of Odessa Region under case No. 916/2090/13 of 6 September, 2013 where the arrest of m/v “Theresa Success” was replaced by a bank guarantee). In practice, it meant the need to receive clear (in fact — written) consent of the claimant (applicant) for a new security measure proposed by the defendant (the shipowner). Now the procedure has been changed: the court shall examine a motion on security change not later than the next working day after the motion has been registered with the court. Along with that, payment of monetary funds by the claimant to the court’s deposit or arrangement of a bank guarantee shall be unconditional grounds for cancellation of security measures used by the court. In respect of letters of undertaking from P&U clubs, which are widely used by the shipowners for releasing of vessels, the legislator retained this issue for the sole discretion of a court. See below for “fresh” court practice. According to the Court Ruling of Commercial Court of Odessa Region under case No.916/3183/17 of 26, January 2018 the court satisfied a motion of the owners of m/v MAMBA B (IMO 9189706) and released the vessel from arrest because the defendant paid UAH 579,000 into the court’s deposit account, which corresponds to the amount of the claim. We believe that the amendments made in the civil and commercial proceedings related to arrest of vessels are progressive and do correspond to the demands of our times. These changes will allow maritime lawyers to protect the right of clients effectively and will, hopefully, increase the level of trust in courts by the maritime community.